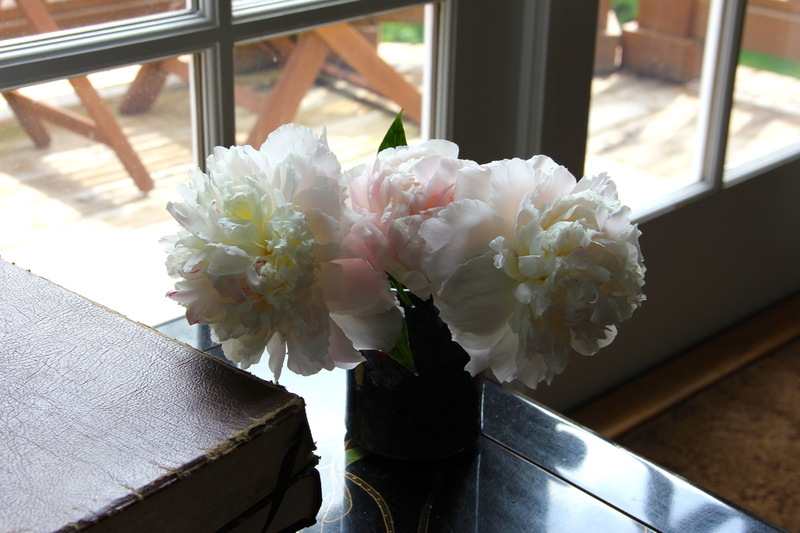 I’ve never met a person who doesn’t love peonies. 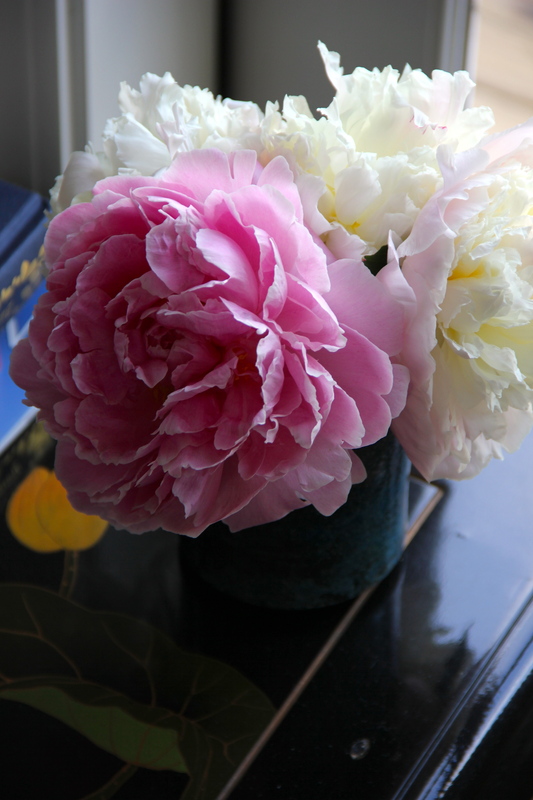 Ever since one of my sisters planted a peony tuber for me in Virginia in the early 1990s, I’ve been in love. I remember her telling me I would love them and that they were like roses without all the thorns and problems. There in the muggy southeast we were only able to grow early season varieties which bloomed in early May due to the heat. 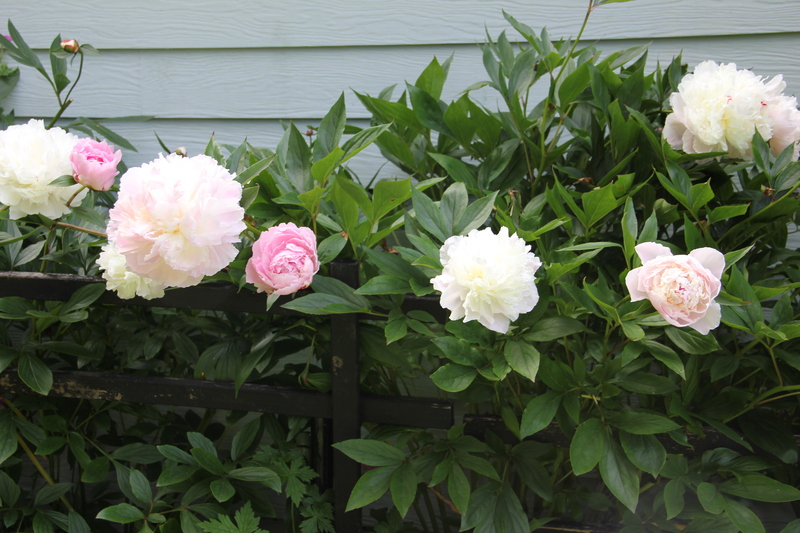 Their heavenly aroma won my heart, and for the nearly 20 years we lived on and off in Virginia, I always grew peonies. 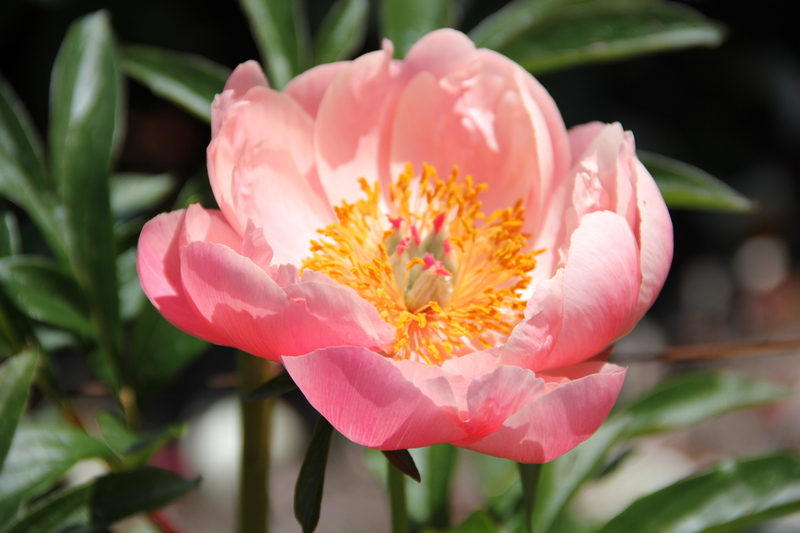 Peonies, or Paeonia, were named after a Greek god, Paeon, a student of Asclepius, the Greek god of medicine and healing. 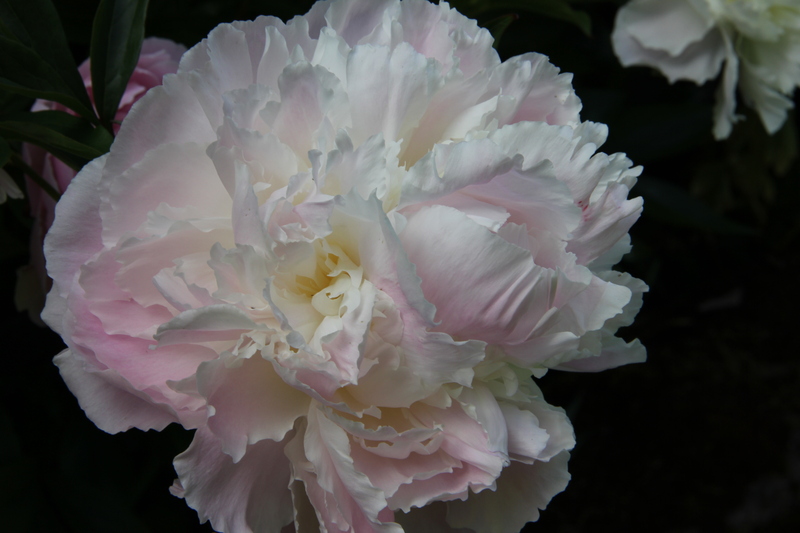 According to a Greek myth, Zeus saved Paeon from the jealousy of his teacher by turning him into the peony flower. 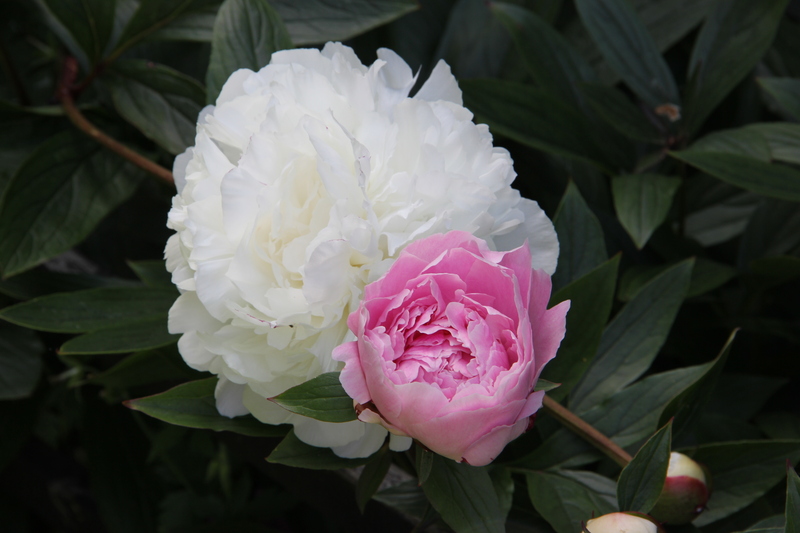 At Coppertop, we are fortunate to have inherited two areas of pink, white, and blush peonies mixed with other perennials. Because we live in a cool, northern climate, I’ve been patiently awaiting their blooming. One area has 5-6 established clumps forming a small hedge which is now covered with flowers. I’ve been bringing small bouquets inside for a couple of weeks, and their fragrance fills our home. If asked to describe their scent I would say it’s a little bit of roses, vanilla, peaches, cloves, and heaven. The other peony area here has three very young plants, and I see just two buds yet to open. With some TLC, I’m hopeful they will thrive in years to come. And a couple more photos from my own garden in beautiful shades of white and pink. At times like this, I wish computers provided smell-o-vision! 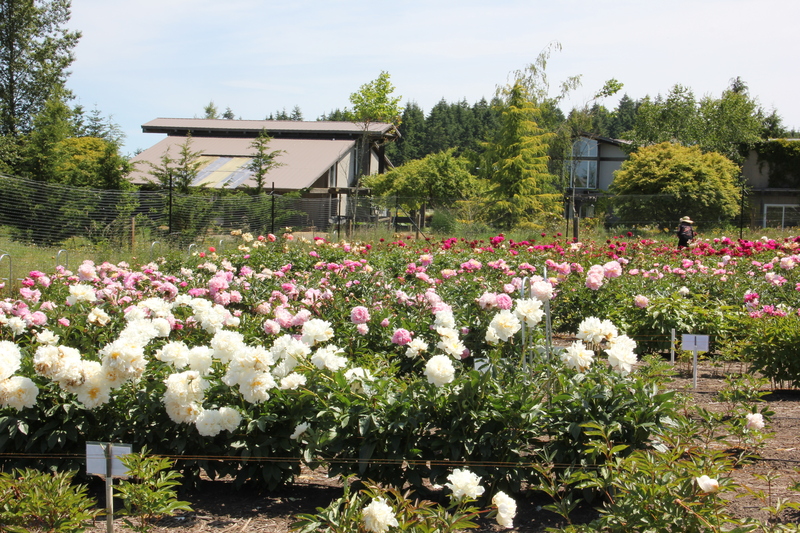 This entry was tagged Coppertop, gardening, Olympic Peninsula, peonies, peony farm, scented flowers, smell-o-vision. Bookmark the permalink.